If any of the questions made you think, “Hmm, that’s for me.” Stop for a second and imagine you just finished speaking before an audience. Everyone is giving you a standing ovation and you’re smiling. Oh, you’re smiling really big because you feel great! You came to share a lesson or message with your audience and “bingo,” you did it! Watch-out because that feeling is addictive. You’ll want to do it again and again because you want to help others and receive the recognition for a job well done. After all, if you’re helping others, you deserve the recognition and applause. I am looking for a few people who are interested in becoming a professional, certified public speaker! Are you ready for one of the most exhilarating and gratifying experiences of your life? 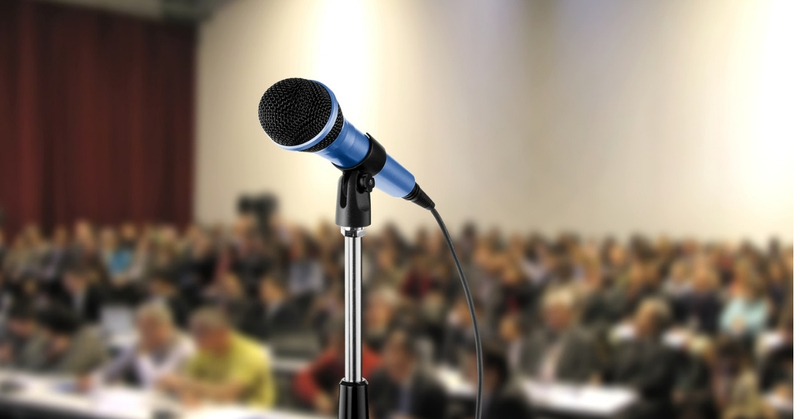 Now, you will see why public speaking is one of the greatest professions in the world. You will be so proud, when someone asks you, “What type of work are you into?” and you respond, “I’m a public speaker!” How about when you hand out a business card that reads, “John Smith, Public Speaker or Jane Smith, Motivational Speaker”? Wait until you see people’s faces and experience their response—WOW! When you are a public speaker, you will be so excited to go to work. There is never a dull moment when you are giving seminars and talks before live audiences. You will gain a complete understanding of all the above things plus, you will receive actual “Certification” from International Coaching & Seminars. Public speakers are in demand. Corporations spend billions of dollars per year hiring outside certified speakers and trainers to help their employees. If companies enjoy your talk, they will have you back on a regular basis to speak more often. Of course, you must be able to deliver a dynamic message while giving valuable information—this is what I’m willing to teach you. Besides companies, there are many churches, organizations, and clubs looking for keynote speakers, and will pay up to thousands of dollars per appearance. For years, people have asked me how to get started in the seminar and public speaking business. Many sincere people with important things to share with others would love to become professional speakers, but they are too afraid or don’t know how to do it. Now, I’m willing to give you everything you need to overcome the blocks and start delivering successful seminars and talks. A successful seminar business is based on learning powerful speaking skills and promotional techniques. If you want to become a successful speaker, you must be able to market your seminars and produce a worthwhile program. I will teach you how to bring out the best in you and your subject matter. You’ll get everything you need to walk on stage and receive the applause you deserve for a job well done. Why don’t you share your message and gift with others? Can you imagine giving your own seminars on the topics closest to your heart? There is nothing more fulfilling in life than to hear applause from a satisfied and receptive audience after you have helped them with your ideas! Incidentally, most public speakers work from their home. Since you won’t have clients coming to your office, a home office is ideal. You’ll be able to design a flexible work schedule and maybe receive tax benefits as well. At this time, I will only train a very limited number of speakers, so if you are interested in taking me up on this rare opportunity, call now for an interview at 1-800-269-3817. For the speakers I choose and allow to participate in this program, their lives will never be the same. These fortunate individuals will actually be working in a job that others could only dream of ever having. I look forward to speaking with you. PS. LIFE COACH DISCOUNT: Register by April 18, and you will receive a $200 discount.